Abstract The equipment and process for recycling used printed circuit boards by physical methods were studied, mainly including the crushing and dissociation of waste printed circuit boards, and the separation of metals and non-metals by dry and wet separation technologies. The study found that when the material was broken to 1.2 mm, the disused boards could dissociate. The broken products contained about 6% of copper, 18% of other metals, and 76% of non-metal. Copper was mainly distributed in <0.5 mm powder. In the >0.5 mm class, high-frequency pneumatic separators can effectively separate non-metals from metals, and have a wide range of sorting particle sizes, low separation limits, and low operating costs, making them ideal for dry sorting equipment. . Printed circuit boards (PCBs) are mainly used for computers, mobile phones, consumer electronics and telecommunications products. With the development of economy and information technology, China's PCB industry has also developed rapidly and there are more than 500 manufacturing companies . At present, 125 million old computers have been waiting for processing in the world, and the scrapping of household appliances, mobile phones, pagers and other equipment is also very prominent. Experts predict that since 2003, China has entered the first peak year for waste electrical appliances, and the number of refrigerators, washing machines, and televisions entering the replacement period every year is around 5 million; the economic life of personal computers is only about 2 years, and each year needs 7 million units will be scrapped; at the same time, tens of millions of mobile phones will enter the phase-out period in the next three years. In addition to the scrap and waste generated during the production of PCBs, the output of scrap PCBs is considerable and is increasing day by day. Scrap circuit boards are typical e-wastes. They occupy a lot of space during landfilling. Metals and organic macromolecules are difficult to degrade under natural conditions. Harmful components enter the environment through water, atmosphere, and soil, causing human health and ecological environment. Potential, long-term and irreversible damage. The reduction, harmlessness, and recycling of solid waste is a national policy in China. The physical method has the characteristics of low investment, small environmental pollution, etc. It is an early-stage treatment technology for chemical, pyrometallurgical, and pyrolysis methods, and is an electronic waste treatment. development trend. However, at present, China lacks systematic technologies and equipment, and the proportion of recycling is low. It is urgent to strengthen research on relevant theories, processes and equipment. There are many kinds of PCBs, and the substrates are mainly single-layer or multi-layer, glass-based or composite epoxy-clad laminates with plastic pins on top. The metals contained in the PCB include basic metals (aluminum, copper, iron, nickel, lead, tin, and zinc, etc. ), noble metals, and rare metals (gold, silver, palladium, antimony, selenium), among which the copper content is high. The main components of plastics are mainly about 25% of CHO polymers (polyethylene, polypropylene, polyester, polycarbonate, and phenolic, etc. ), halides in an amount of less than 5%, and nitrogen-containing polymers in an amount of less than 1%. The main components of inert oxides are about 15% of silicic acid, about 6% of alumina and about 6% of alkali and basic oxides, and about 3% of other oxides such as barium carbonate and mica . The composition and content of elements in circuit boards of different electronic devices are different. For example, the precious metal content of PCBs in TVs is less than that of computers, and the content of iron, lead, and nickel is high. According to the author's research, the main components of computer motherboards and circuit boards are resins and glass fibers, plastics, copper, iron, and alloys. Obviously, the prerequisite for physically separating different materials is to break apart the different components. The type of mechanical crushing force varies depending on the nature of the material, the particle size, and the requirements for the crushing product. For tough materials, shear or high-speed impact is generally used; for multi-component materials, selective crushing under impact is generally used. The nature of old circuit boards and coal and gangue is obviously different, and they are mainly manifested in the following aspects: The circuit board has higher hardness and better toughness; it has good resistance to bending; it is mostly plate-shaped and it is difficult to make metal by one break. Separation from non-metals; there are many types of substances, and there are metal entanglement after dissociation. These characteristics determine that the crushing of the PCB is different from the crushing of natural ore. The cone crusher, jaw crusher and roller crusher commonly used in mineral processing are not suitable for crushing circuit boards. The impact crusher and hammer crusher adopt the principle of impact crushing and can be used for fine crushing of circuit boards, but there is still no technology in China. Mature crushers can be used for crushing old circuit boards. 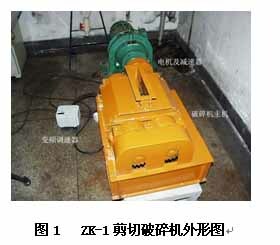 For this reason, the author developed a ZK-1 shear crusher for coarse crushing, and then used an impact crusher to crush. Figure 1 shows the outline of the ZK-1 shear crusher. Figure 2 shows the proportion of different components with different particle sizes >0.5 mm in the circuit board crushing product. Table 1 shows the distribution of metals and non-metals in different grades of discarded circuit boards. Combined with the results of the image analysis, the conclusion was reached that: when the board is broken to 1.2 mm, the disused main board can be dissociated; the plastic obtained after the dissociation is mainly from the slot. Since the plastic is relatively brittle and easily broken, it is more than 0.5 mm in size. The proportion is the largest; the resin is the main component of the substrate, but the toughness is relatively large, and the proportion in the fine-grained grade is high; the metal in the material larger than 0.5 mm is mainly the needle-like pin, with the largest fraction of 1.2 to 0.5 mm. The content of metal in the material less than 0.125 mm is very low; copper is a relatively large amount of valuable metal in the waste circuit board, and is enriched in two grain sizes of 0.50-0.25 mm and 0.250-0.125 mm, and the copper content is respectively 20.33% and 22.77%. According to the distribution of the metal and non-metal in the scraps of the old circuit board in Table 1, the content of copper in the broken product is 5.78%, the content of other metals is 18.02%, and the content of non-metal is 76.2%. Copper is mainly distributed in <0.5 mm powder, and other metals are mainly distributed in >0.5 mm. Recycling copper and other metals from used boards has significant economic and environmental benefits. Taking copper as an example, China's copper mines are mostly poor ore, with a grade of approximately 0.5%. To produce 1t of copper metal requires 200t of copper ore, while mining 1t of copper ore requires 3t of waste rock at the same time. Therefore, the recovery of 1 t of scrap copper from waste corresponds to a reduction of 600 t of waste residue.